On Jan. 24, the lives of prisoners in solitary confinement were changed thanks to one of President Obama’s most impactful decisions as president: banning juvenile solitary confinement. According to the White House, there are around 100,000 people being held in solitary confinement in the United States with 10,000 of them in the federal prison system. President Obama is one of the first U.S. presidents to take notice of the degrading prison conditions in the country and as his tenure in the White House draws closer to an end, he has made controversial reforms to the prison systems. In an op-ed published in the Washington Post by President Obama, he explained how the current solitary confinement conditions in place are doing more harm than good to prisoners being sentenced to solitary. President Obama also described the proven effects solitary confinement has on prisoners. 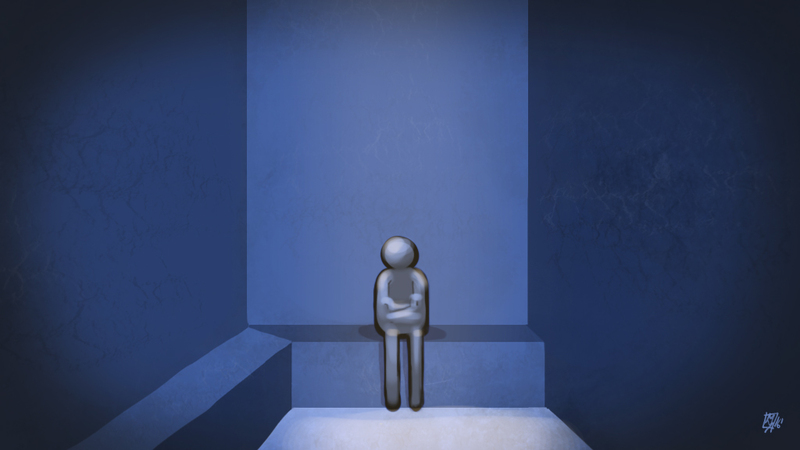 The effects of solitary confinement can sometimes be overlooked due to the fact that people have the typical idea of a regular prison cell ingrained in their mind. Solitary confinement isn’t your typical concrete-walled cell; it's much more unbearable and degrading. A solitary confinement cell is only six feet wide by nine feet long and contains only a bed and a toilet. The cell door has a small opening for a food tray, and that's it. To put this into perspective, you could fit 19 solitary confinement cells inside of an average one bedroom apartment. People in solitary confinement are also required to stay inside of their cell for 22 to 23 hours a day. When and if they are let out of their cell, the prisoner is not allowed to have any contact with other prisoners and is kept isolated from the rest of the prison population. These are the conditions President Obama is trying to reform and make more effective in the effort to rehabilitate prisoners. After an internal review conducted by the Justice Department, President Obama adopted policies which “ban solitary confinement for juveniles and as a response to low-level infractions, expanding treatment for the mentally ill and increasing the amount of time inmates in solitary can spend outside of their cells.” Along with these changes President Obama also lowered the amount of time a first offender can spend in solitary from 365 days to 60. The overall goal of the prison system is to rehabilitate inmates to correct their wrongdoing and become productive and safe members of society. One of the ways this can be done is by making the prisoners feel like they have a chance to recover and be successful when they reintegrate into society. Of course, a way to prevent the prison systems from failing at this goal is to have less people entering the prison system altogether. President Obama’s perspective on solitary confinement as being counter-productive and inherently more dangerous to society is not an outrageous claim. A study found that Washington state prisoners placed in solitary confinement are more likely to repeat their original offence and have a 20 to 25 percent higher recidivism rate than inmates in less-restrictive prison housing. President Obama’s tenure as president has been a very active one due to his high level of political activism and willingness to tackle controversial and overlooked issues such as the failed prison systems. He has been able to make drastic changes to the national health care system and immigration policies, as well as economic changes which boosted the number of jobs in the nation. However, none of his reforms has had as big of an impact than his decision to ban solitary confinement for juveniles, decreasing the amount of hours spent inside cells as well as lowering the national crime rate. These changes make for a much safer society due to the fact that there are less crimes being committed, and the people who do commit crimes are able to more successfully be rehabilitated in prison and reintegrate into society as productive and safe people.